Did you know you can add this website to your home screen as a web app? Tap here to learn how! Welcome to Seekonk Youth Soccer! 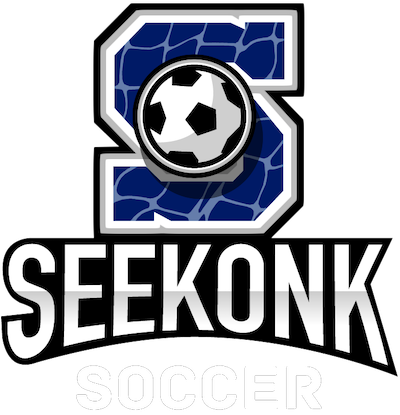 Seekonk Youth Soccer (SYS) is a non-profit community based youth soccer organization. Our mission is to help develop our community’s youth through an enjoyable experience centered around the game of soccer. We believe that soccer can be used to assist in character development through good sportsmanship and teamwork and promoting healthy lifestyles through physical fitness and organized activities. As a 100% volunteer based organization, we are truly a community driven organization. Working with children ages 5 and up, we have a number of opportunities for recreational enjoyment and competitive play at most levels. We encourage you to utilize our website often, follow us on Facebook and volunteer as opportunities exist. For time sensitive issues, questions, comments or concerns - please contact us via email at [email protected]. We currently have board positions open. Some positions only require a few hours of your time each month and others are more involved. If you are thinking you can help out, please stop in to one of our monthly meetings and we can discuss these opportunities in more detail. Responsible for developing skills of new referees, assist with training, and complete weekly schedules in-season for recreational and local travel games. We are actively looking for a well-organized volunteer to assist our current Recreational Director for the upcoming fall season. Aided in part by the Registrar and President, this volunteer position is responsible for the coordination and oversight of our fall program. Reminder: Seekonk Youth Soccer is 100% volunteer driven. Without volunteers we cannot possibly support all of the great programs we offer all year long. All are welcome to attend Seekonk Youth Soccer board meetings. All meetings are be h﻿eld ﻿﻿on ﻿the first Monday of every month at the Aitken Elementary School at 7 pm﻿﻿.﻿ ﻿If the Monday our meeting is scheduled is a holiday, it will be held the following Monday. There are no official board meetings for the months of July and August. If you have something you would like the board to discuss or review, please submit it no less than one week prior to the meeting so it can be added our agenda. Meeting agenda items can be directed to [email protected]. All complaints or concerns regarding the soccer program should be directed to the President of the league via email [email protected] or other writing. The complaint/concern will be taken under advisement by the Board of Directors and be added to the agenda at the next Board Meeting. The author of the Complaint/Concern will be advised of the next meeting date and asked to appear if it is deemed necessary for additional comment. The issue will be reviewed and comments discussed at the Board meeting. Following the regular session, the Executive Board will vote to take any action on the Complaint. The President will communicate in writing any decisions to the author of the complaint following the meeting.